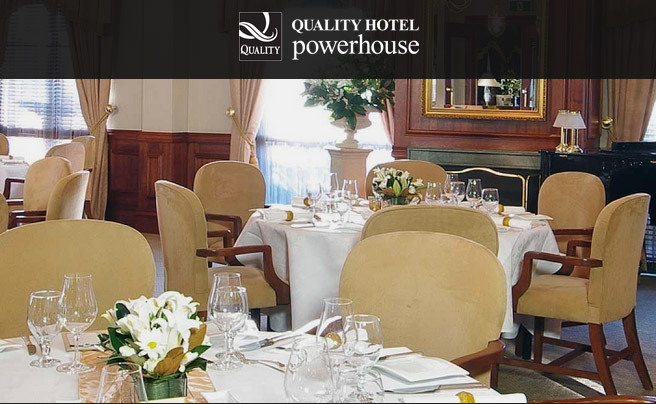 We were asked to refresh Quality Hotel Powerhouse‘s web presence, which involved updating the look and feel to match their recent change in branding and fitting out the site with all the modern web goodies. 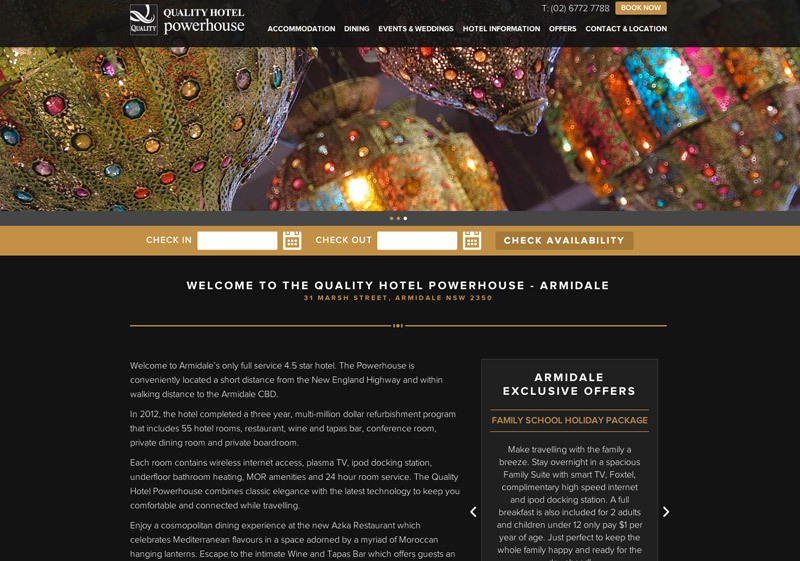 The Quality Hotel Powerhouse is unique in that it is a conglomeration of two hotels in Country NSW, Powerhouse Tamworth and Powerhouse Armidale. Two separate entities are often marketed together. 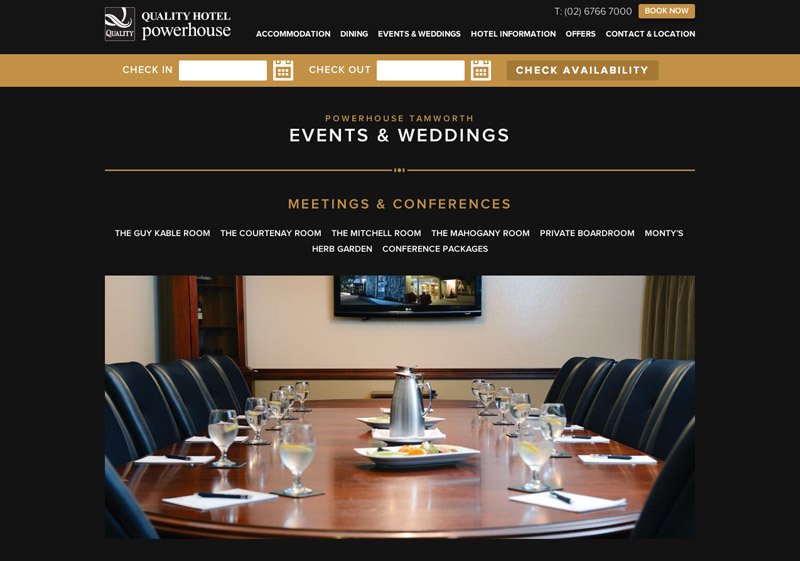 We had done their original site quite a few years ago and had decided to host both sites on the same domain, with an entry page prompting you to select between one or the other. During our initial talks and planning, we discussed the idea of separating the sites completely. 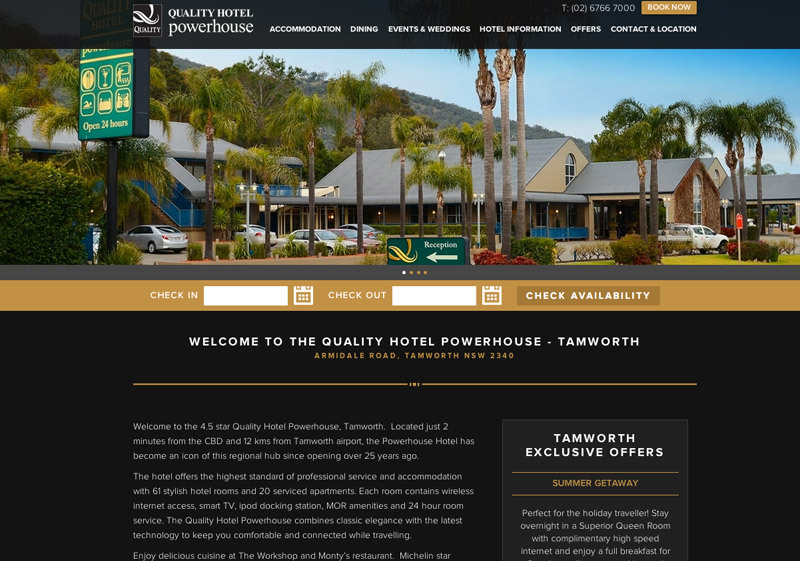 The thought behind this decision was that people would rarely be choosing between the two locations (they are over 100km apart), but instead would be looking either for a hotel in Armidale, or a hotel in Tamworth. The client agreed with our concept.  WordPress has long had multi-site functionality built in that would have suited our needs, but we decided against WordPress purely because our clients find Concrete5 easier to use. For ease of management, we still wanted to develop the sites together, so we employed a multi-site solution using concrete5. 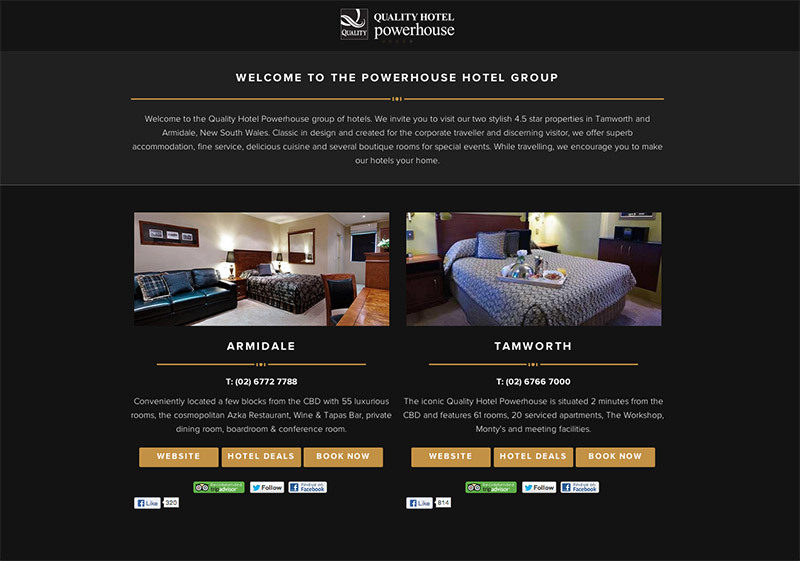 This allows us to work on the sites as one, allows each hotel to manage their section of the site individually, and allowed us to add multiple entry points and ‘mount’ them at different domains. It was an educational process for us, as previously we had only used Concrete5 for sites that had 1-to-1 relationship with their domains. “I wish to express my thanks for your commitment and dedication to the new site.